1. Attic Damage – One of the first things affected by leaking roof is the attic as it located just below the roof. The articles stored in the attic will get destroyed and if you miss out on the leakage in its initial phase, it can cause serious damages to the attic as well. 2. Fire Dangers – A leaking roof can affect the wirings in the area. If left unattended, the electric wires can be a cause of short circuits and fires in the house. The most effective way of dealing with this is to switch off the electricity in the affected areas until the leaking roof has been repaired. 3. Falling Hazards – This can happen in the houses which have small children. With children running here and there, excess leakage can be a definite cause of major accidents in the house. It is advisable to get the leakage fixed at the earliest and take proper precautions while the leakage prevails. 4. 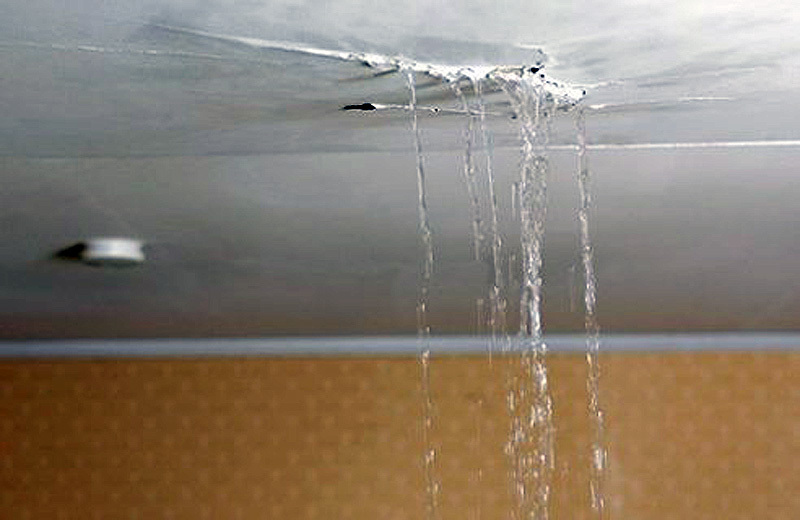 Wood Damage – A long term unattended leaking roof can be a cause of severe wood damage of the house. Chronic roof leaks lead to wood deterioration and rotten roof framing which results in serious problems. You can also face expensive wood framing repairs if water leaks down into ceiling joists and walls. 5. Structure at Risk – A long term and a serious roof leakage can be hazardous to the overall structure of the house. As aforesaid, it can lead to fires and wood damage, it can eventually also lead to the entire affected section of the wall to fall off and destroy anything which is underneath. 6. Interior Mold Hazards – Another problem which comes with leaking roof is mold and mildew growth. This growth begins in minor portions but gradually can spread to carpet and furniture. It can also be a cause of serious health issues for those with asthma, rhinitis and high sensitivity.